Management of Baywood Interiors Ltd. is vitally interested in the health and safety of its employees. Protection of employees from injury or occupational disease is a major continuing objective. Baywood Interiors Ltd. will make every effort to provide a safe, healthy work environment. All supervisors and workers must be dedicated to the continuing objective of reducing risk of injury. Baywood Interiors Ltd. as an employer is ultimately responsible for worker health and safety. As president (or owner/operator, chairperson, chief executive officer, etc.) of Baywood Interiors Ltd., I give you my personal promise that every reasonable precaution will be taken for the protection of workers. 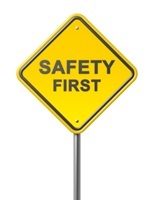 The Health and Safety Policy should be consulted whenever there are concerns about health and safety in the workplace.